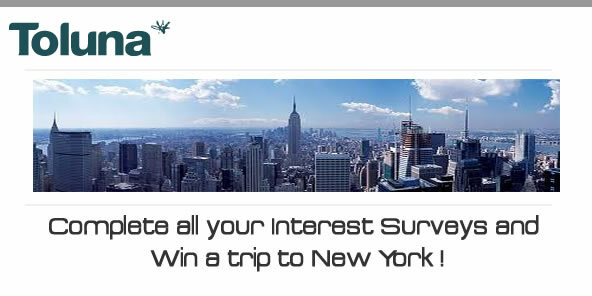 Complete all your Interest Surveys and Win a trip to New York! From now until the 31st October 2011, you have the opportunity to win this amazing getaway! The rules are very simple: You must complete all of your interest surveys. Click here to enter.